Today’s customized and targeted malware attacks are stealthier and sneakier than ever, gaining entry into your systems without detection and remaining there for weeks, months or even years before identified. Unfortunately, too many organizations are focusing on the malware component of the attack rather than looking at the entire scheme of things – the attack lifecycle. 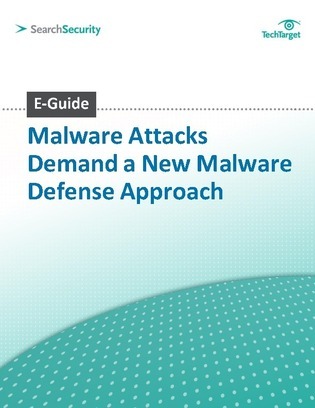 This e-guide from SearchSecurity.com outlines why these new forms of malware require a new defense approach, including components from application whitelisting to forensic analysis. In addition, learn why botnets continue to trouble security pros and uncover what you need to do now that botnets have their sights set on mobile devices.